Tonight's concert by the Columbia Symphony was a real tribute to Portland's music community, because the nave of First United Methodist Church was so packed that even extra seating, brought in at the last moment, could not accommodate the crowd, and at least 20 people had to stand through an outstanding performance of Mozart's Sinfonia Concertante, which featured violinist Inés Voglar and violist Joël Belgique. Among the musical cognoscenti in the audience were many members of the Oregon Symphony such as Jun Iwasaki, Nancy Ives, Stephen Price, Karen Wagner, Greg Ewer, Fumino Ando, and Jennifer Arnold. Others notables that I saw were conductor Keith Clark, pianist Cary Lewis, and violinist Tatiana Kolchanova. I'll write a review of the concert (which included Brahms Second Symphony) for Oregon Music News tomorrow. According to this report in the New York Times, classical music is experiencing a big upswing on the radio under the sponsorship of public broadcasting. Maybe folks are finally getting tired of talk radio. The LA Times reported today that Alan Rich, who wrote about classical music for L.A. Weekly, the Los Angeles Herald Examiner, Variety, the New York Times and the New York Herald Tribune, and magazines such as New York, Newsweek, New West, and California passed away at the age of 85. I met Alan Rich a couple of times at music critic conferences. I found that he could be witty and charminig sometimes and curt and abrasive at other times. He was an excellent writer and critic, and his blog, So I've Heard, was highly regarded. We will miss his voice. I'd give the Oregon Symphony concert that I heard last night three thumbs up if I had three thumbs. It was an incredible concert with Midori in the Sibelius Violin Concerto and the orchestra rocking and rolling in Tchaikovsky's Symphony No. 5. I'll be writing my review later today for Oregon Music News, but for those of you who don't have tickets, I'd encourage you strongly to pick them up for one of the two remaining concerts in Portland or the concert on Tuesday evening in Salem. This is a concert that is life-enhancing. Here are a couple of upcoming that I will be attending and wholeheartedly recommend, for various reasons: I sing baritone in the BCC (although I am not singing this concert) and so am always a fan. The dynamic duo of Opera Theater Oregon and Filmusik are both key components of Portland's homegrown, scrappy alternative art music scene that never ceases to amaze me with its brilliant, original projects. 1. 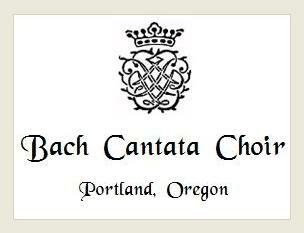 Tomorrow, Sunday April 25th is the season finale of the Bach Cantata Choir, and what a grand finale it will be. The concert was featured by host Andrea Murray on Northwest Previews last Thursday on Portland's All Classical 89.9. The very talented BCC Chamber Orchestra, under the direction of Ralph Nelson, will be performing J.S. Bach's Violin Concerto in E Major with Mary Rowell as soloist. Among the many hats Mary wears are those of Concertmaster of the BCC Chamber Orchestra and violinist with the esteemed Portland Baroque Orchestra. In addition, the BCC will sing W.F. Bach's cantata Wohl dem, der den Herren fürchtet. Wilhelm Friedemann was Sebastian's eldest son, a man with a tragic life and the one whom many scholars believe was the finest composer amongst the Bach sons, despite Joh. Christian and especially Carl Philip Emanuel being the more famous. The BCC is proud to present their first performance of an ancient work by a Jewish composer, Salamone Rossi's (1570-1630) Hallelyah. The choir will also sing J.S. Bach's Motet #5 Komm, Jesu Komm, one of only eight Bach motets still surviving, a set known for its complexity, beauty and unicity even among Bach's works. The performance is at 2 pm at the Rose City Park Presbyterian Church at NE 44th and Sandy. There is no charge for the performance, but free will donations are gratefully accepted. 2. Following is information from Opera Theater Oregon regarding their next project: Hercules vs. Vampires. WHAT: Opera Theater Oregon and Filmusik present “Hercules vs. Vampires,” a 1960s cult classic brought back to the big screen with all the dialogue turned into opera by composer Patrick Morganelli and performed live by nine glorious voices and a 14-piece chamber orchestra. WHEN/WHERE: May 14, 18, 20 and 21 at 7:30pm/May 16, 2:00pm (matinee). ALL SHOWS ALL AGES (run time 90 minutes). Hollywood Theater, 4122 Northeast Sandy Boulevard, Portland, OR. WHO: Produced by Opera Theater Oregon and Filmusik; new commissioned opera and adaptation of libretto by composer Patrick Morganelli; original 1961 film directed by Mario Bava (Black Sunday, Fashion House of Death); musical direction by OTO Musical Director Erica Melton; produced and directed by OTO Artistic Director Katie Taylor; technical direction by Filmusik Artistic Director Galen Huckins. Starring a cast of rising operatic talent, including baritone Michael Miersma (Hercules), soprano Camelia Nine (Dianara), tenor David Simmons (Theseus), mezzo soprano Claire Craig Sheets (Persephone), and baritone Bobby Ray (Lyco). Made possible by a grant from REGIONAL ARTS AND CULTURE COUNCIL and WORK FOR ART. TICKETS: $15 (general admission). Call PDXtix at 503-205-0715, or go online to operatheateroregon.com. Group rates available. Contact Katie at Opera Theater Oregon for details: 503-234-4515, kt@operatheateroregon.com. WHY: Because it is awesome to watch Mr. Universe 1958 crush boulders on the big screen while appearing to sing beautiful music. At 2 p.m. April 20, MusicalAmerica.com received word that the Georgia Arts Council's budget has been reinstated. The Atlanta Journal-Constitution reports that its allocation will represent "a steep cut from the $2.52 million it received in fiscal 2010, but the agency will not be eliminated, as the House had intended." As reported here last week, the State of Georgia’s House of Representatives has voted to eliminate the Georgia Council for the Arts and its annual budget, which has already been slashed from $2.52 million to $890,735. Save for Congressman John Lewis, and State Senator Vincent Fort, Georgia is Republican run, and most certainly Republican owned. It has been nearly two decades since Cobb County withdrew its funding from the Circle in the Square Theater in Marietta, a suburb of Atlanta, after the company mounted Terrence McNally’s “Lips Together Teeth Apart.” Damn those homos, said the County Fathers. Clearly, little has changed since then. Kudos to the Atlanta arts community for yesterday’s rally on the steps of the Capitol, protesting the cuts. If the current budget passes, Georgia will be the only state without an art council. "If we … cut this funding, I'm going to be ashamed to be from Georgia," said Fort, an Atlanta Democrat. "This is a defining issue of who we are as Georgians." The Atlanta Journal-Constitution eliminated its music, art and theater critics awhile ago. Now, save for the ArtsCriticAtl blog that the three bravely put on [see link on MusicalAmerica.com Home Page], there is no arts coverage. Soon there will be no arts to cover. Shame on you, Georgia. Shame on you. While checking out Gregory Vajda's gig with CityMusic Cleveland, I noticed that former Oregon Symphony concert master Amy Schwartz Moretti is listed as the concert mistress of the CityMusic Cleveland orchestra. She is doing that gig in addition to serving as director of the Robert McDuffie Center for Strings at Mercer University, her chamber music work, and solo appearances. Reviewer Wynne Delacoma gives Kalmar gives a positive critique of Kalmar's appearance with the Chicago Symphony in the Chicago Classical Review. For many years, Delacoma was the classical music critic at the Chicago Sun-Times. The John von Rhein, the classical music critic at the Chicago Tribune really liked Kalmar's conducting in all of works on the program. Click this link to read the review. 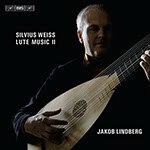 BIS Records recently released a CD by Swedish lutenist Jakob Lindberg playing music of the German composer Silvius Weiss. Weiss was an almost exact contemporary of J.S. Bach, whom he met and challenged to a counterpoint competition--Bach on the harpsichord, Weiss on the lute. That says quite a lot about Weiss' abilities on the lute, and Lindberg's rendering of this difficult music leaves nothing to be desired by way of technique or interpretation. The odd title of the release is in reference to that fact that this could be considered a companion CD to an earlier release by Lindberg of Weiss' lute music. The Ouverture to the first work, Sonata No. 39 in C Major, gallops forward in a bold, declamatory style, briskly paced and featuring a succinct realization of the contrapuntal outworkings that is delightful to hear. Lindberg's ability to so cleanly voice the numerous entwined melodies is stunning, and gives one great appreciation for Weiss' virtuosity on the lute (and an understanding of why he may have had the cheek to challenge Bach.) The Sarabande is truly delectable, full of an unrequited longing that Lindberg savors, note by note. The Tombeau sur la Morte de M. Comte de Logy takes the form of a peripatetic allemande that is all grief, a slow, singing journey through the sadness that Weiss felt at the death of this great lutenist. Lindberg reveals a keen understanding of the subtle colorations required to prevent this somber dirge from becoming agonizingly dull, which can happen to pieces of this kind in lesser hands. Instead he yields a work that is engaging and full of the sincere, grave pathos that came to flower in the high Baroque. The entire disc is fantastic, a true revelation of Weiss' genius as a composer and Lindberg's singular skill as a lutenist. It is an absolute delight, a treat for the ear as well as the soul. This article in yesterday's Economist magazine says that Portland is an "elite" city. Well, if it is an elite city, then it can surely show some financial support for its orchestra's trip next year to Carnegie Hall. At last night's Blazer game, Daniel Belcher, who will perform the role of Figaro in Portland Opera's "The Barber of Seville" in May, sang the national anthem for a crowd of 20,000+. He nails a high A at the end to thunderous applause. 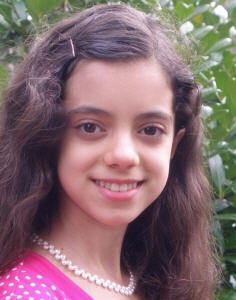 The videographer was Jennifer Rivera, who will be Rosina in the "Barber." Gregory Vajda is in Cleveland this week to conduct concerts by CityMusic Cleveland. The Cleveland Plain Dealer interviewed Vajda for these concerts. I found a link from the Oregon Symphony's facebook page to a report in The Mercury regarding the city commissioners' banter over the orchestra's request for $200,000 in support of its trip to Carnegie Hall next year. Even though the city is experiencing financial stress during this time, I would be the one of the first to encourage the city to support the orchestra in this endeavor. The Oregon Symphony has been chosen to play at the hall for a specific festival at Carnegie, and it will be the first time for the orchestra to appear there. This is a prestigious event that will help to raise the profile of orchestra and of the city. It would be a worthy undertaking by the city and may result in extra benefits afterwards. Near the top of the article you can cast your vote on the matter, and the article has generated a lot of reader response. Note to The Mercury: Thanks for this report, but please replace the photo of Lorin Maazel with one of Carlos Kalmar. Composer Jennifer Higdon posted her reflecttions on winning the 2010 Pulitzer Prize in Music in today's issue of the New Music Box. In the posting, Higdon says thank you to teachers and those who took a chance on her music when she was just starting. Mark Swed puts up a strong defense of Leonard Slatkin after his conducting mishaps at the Met. Read Critic's Notebook: It's time to cut Slatkin some slack for a fresh perspective on conductors vs opera prima donnas. The Boston Globe's classical music critic, Jeremy Eichler posted a brief, and mostly positive review of Kalmar in his debut with the Boston Symphony last night. Some of the reader comments are fairly spirited. A couple of readers really hated Kalmar's treatment of Mahler, but the majority thought it was very good. Postscript: Charles Noble found a couple more reviews: one that didn't like the way Kalmar conducted and the other liked it very much. Click here for the links. Denná Good-Mojab will appear in concert on April 10, 2010 at 7:00 pm at the HART Theatre in Hillsboro, Oregon. All profits from this fundraising event will be donated to support Mercy Corps' work in Haiti. Her goal is to raise at least $5,000 through ticket sales for her concert, additional donations at the concert, and donations via this fundraising page, The program will include classical songs, operatic arias, and other works in English, Italian, German, and Farsi. A representative from Mercy Corps will be at the concert to talk about the organization's work in Haiti and to accept additional donations. For more information or to purchase tickets, please contact HART Theatre at 503-693-7815 or visit their website at hart-theatre.org. Tickets for the concert are $35 each. Today's Boston Globe states that James Levine has been working as the Boston Symphony's music director without having signed a contract. The means that the administration could fire him at any time. Of course, that would damage a lot of good will between the conductor and the orchestra as well as its patrons, who expect Levine to recover from his latest round of surgery and return to lead the orchestra. Levine's next scheduled appearance with the orchestra will take place in July at Tanglewood when he conduct's Mahler's Symphony No. 2 "Resurrection." That's an apt title. In the meantime, Oregon Symphony's MD Carlos is in Boston to lead the orchestra in concerts starting tomorrow evening. One can't help but think that the BSO are keeping a sharp eye on Kalmar. You never know. Alex Ross has a terrific spoof of a press release for the fictiitous Lower Midtown Orchestra on his New Yorker blog website. NEW YORK, NY, April 1, 2010. At a press conference earlier today, Sebastian Melmoth, the Chief Executive President of the Lower Midtown Orchestra, announced details of the Orchestra’s 2010-11 season. The announcement marks yet another innovative yet traditional offering for an ensemble that Allan Kozinn, of the New York Times, has hailed as “also worth mentioning.” Bernard Leonstein, the Orchestra’s longtime Music Director, was also in attendance. Victor Famulus, the Chairman of our Board, participated via a remote link from Rikers Island, where he is being detained pending federal inquiries into his company, Grand Cayman Entities. Because of ongoing construction work in the Orchestra’s soon-to-be-beautifully-refurbished auditorium, the ConAgra Jiffy Pop™ Concert Hall, the press conference was held in the Food Court of Penn Station. Thanks to Cynthia Kirk for pointing out this funny verbiage. Congratulations are in order for Brandon Garbot, because he is one of the few people to be selected for the Perlman Music Program. Garbot (age 16) is a former PYP concertmaster and currently a member of the Portland Columbia Symphony Orchestra's violin section. Brandon Garbot has been accepted to the exclusive Perlman Music Program, run by internationally renowned violinist Itzhak Perlman. Only 24 students age 12-18 world-wide are admitted. He'll be participating in lessons, 6 weeks this summer with one-on-one instruction from Mr. Perlman and getting follow up opportunities during Christmas and Spring Break holidays. Brandon hopes to attend the Cleveland Institute of Music Young Artist Program this fall (as HS Junior) to study with William Preucil. Conductor Leonard Slatkin has withdrawn from the remaining performances of La Traviata this season for personal reasons. Marco Armiliato will replace him at the April 3 evening performance, after conducting the matinee of Aida. Steven White, in his Met debut, will conduct the performance on April 10. Yves Abel will conduct on April 13, 17 matinee, 21, and 24. The April 7 performance is TBA. La Traviata stars Angela Gheorghiu as Violetta, James Valenti as Alfredo, and Thomas Hampson as Giorgio Germont. The production is by Franco Zeffirelli. Hei-Kyung Hong sings the role of Violetta at the April 24 performance. This season, Marco Armiliato conducts performances of the new production of Attila, as well as the revivals of Aida, La Fille du Régiment, and La Bohème. He also conducted the Metropolitan Opera National Council Grand Finals Concert last month. Steven White has conducted a wide repertory of opera with companies around the United States and Canada, including New York City Opera, Vancouver Opera, L’Opéra de Montréal, Arizona Opera, Sarasota Opera, and Opera Roanoke, where he is artistic director. Yves Abel made his Met debut in 1994 conducting Il Barbiere di Siviglia and also led Carmen here in the 1997-98 and 2002-03 seasons. He is scheduled to return to the Met for performances in the 2011-12 and 2012-13 seasons. The Canadian is principal guest conductor at Berlin’s Deutsche Oper, and regularly conducts at the Vienna State Opera. He has led performances at many of the world’s leading opera houses including La Scala, Paris Opera, Lyric Opera of Chicago, and San Francisco Opera. He returns to the Royal Opera House, Covent Garden, later this season to conduct La Traviata with Angela Gheorghiu and James Valenti.